The concept of being vegetarian has not caught on in every country yet. This may be because every person who identifies as vegetarian has their own definition of the word. I am guilty of this myself. I decided to become a vegetarian my right before I moved into my dorm my first year of college. I’m still not sure why I made the decision. Part of it was that I grew up eating organic meat from my uncle’s butcher shop and Sodexo was just not cutting it. When I arrived in Spain I was extremely relieved to learn that my host mommy had cooked for students who were vegetarian and she could adjust to the fact that I am lactose intolerant as well. People outside of my home however, were not as understanding. I sure it was especially hard for the people of Salamanca, Spain considering that their home is known for delicious cured ham. They could not believe that I hate ham. When I went out with friends they said it was okay for me not to eat meat because there was plenty of chicken. It was hard to explain that I did not eat that either. By the end of my time in Spain I had broken down and started eating chicken about once a week. 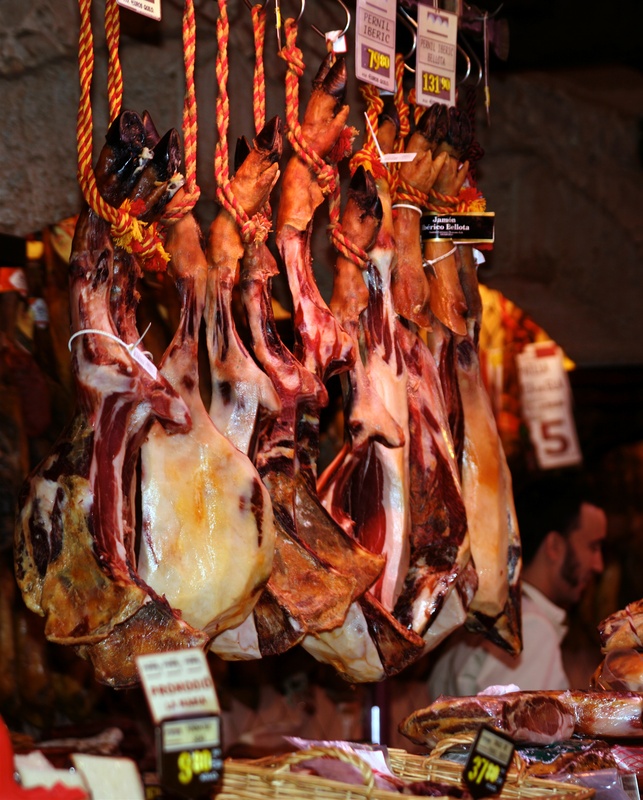 Jamon Iberico, a famous delicacy in Salamanca. It is a bit comical to think about now, but it was difficult for me to find things to eat at times. The important thing I learned is that you have to stay positive and remember that every culture has a different cuisine. I tried to be careful and explain that it was not their food that I didn’t like, I simply did not eat any meat (or chicken), regardless of how it was cooked.